Summer is here, and so are skin, hair, and beauty problems. Sweaty and oily skin, melting makeup, and oily scalp and hair – it feels like you have given yourself an oil massage at the end of every day. Wondering if anything can be done about this? Yes! Following any of the home remedies given in this article will will help you get rid of oily hair naturally. Scroll down. 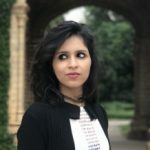 Humidity: If the weather around you is humid, chances are high that you will be left with a head full of oily hair even after shampooing, especially during summers. Touching your hair too much can transfer the oil from your hands to your hair, making it oilier. Use of certain hair serums can also make your scalp oily. Shampooing too much may also strip your hair of its natural oil, thus making your scalp produce even more oil. Not washing your hair often enough. Given below are some natural treatment options for getting rid of oily hair. Add 15 drops of tea tree oil to 30 mL of any carrier oil and mix well. Apply this mixture to your scalp and spread it evenly through the length of your hair. Leave it on for at least an hour before washing off. 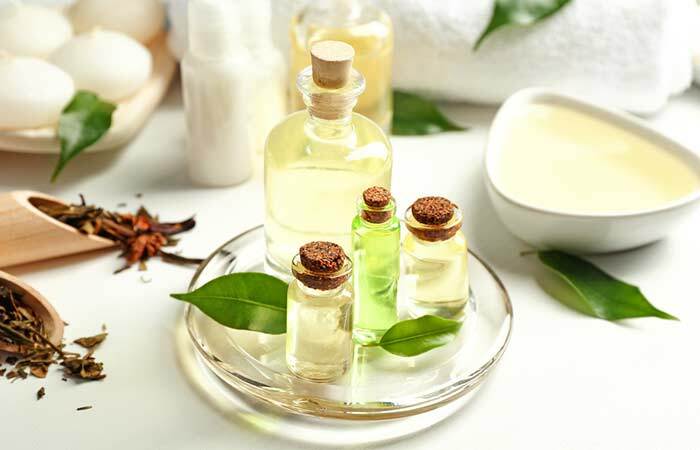 You can also apply tea tree oil directly to your scalp if you are not sensitive to it. You must do this 2 to 3 times a week. The application of antimicrobial tea tree oil to your scalp can control sebum production and also prevent acne in your scalp (1). Add two to three tablespoons of apple cider vinegar to a cup of water and mix well. Wash your hair with a mild cleanser. After washing the cleanser off, rinse your hair with the apple cider vinegar solution. Leave it on for a few minutes before rinsing off with cold water. You can do this 3 to 4 times a week. 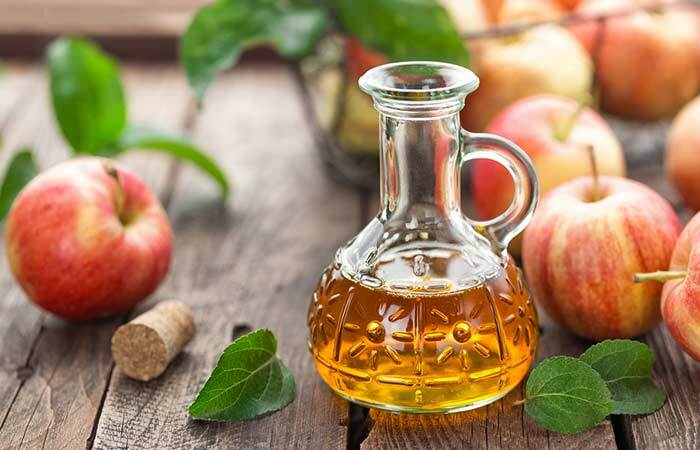 The presence of acetic acid in apple cider vinegar imparts pH balancing properties to it. Rinsing your hair with ACV can restore the pH of your hair and control the secretion of excess oil on your scalp (2). Take a little virgin coconut oil and rub it between your palms. Apply the oil evenly to your scalp and hair. Leave it on for an hour before washing it off with a mild shampoo. You must do this once a week. 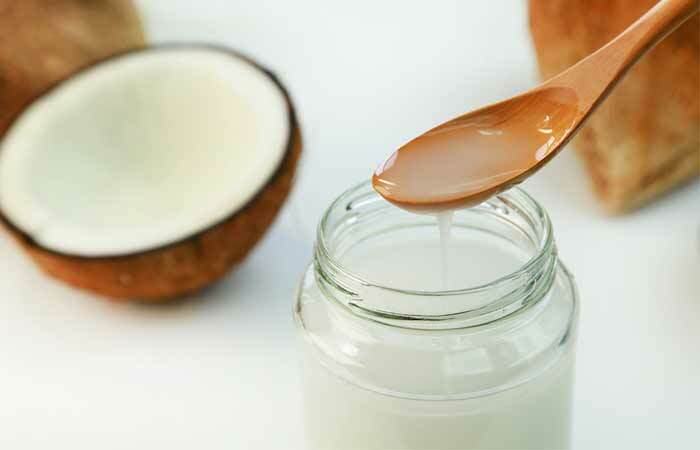 Applying coconut oil prior to shampooing is a great way to condition your hair without making it greasy. Virgin coconut oil is light compared to many other oils and gives your hair the required shine while preventing excess sebum production. 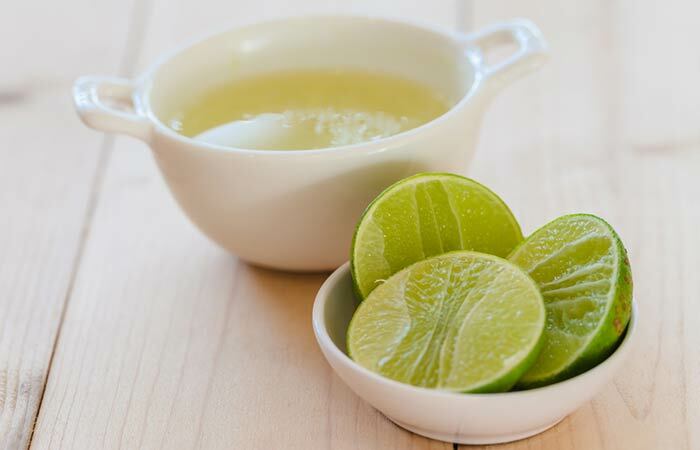 Add one to two teaspoons of aloe vera gel to a tablespoon of lemon juice. Add a cup of water to this mixture and mix well. Use this to rinse your hair, preferably after shampooing. Leave it on for a few minutes and wash off with cold water. You can do this every once in a while to control oily scalp. 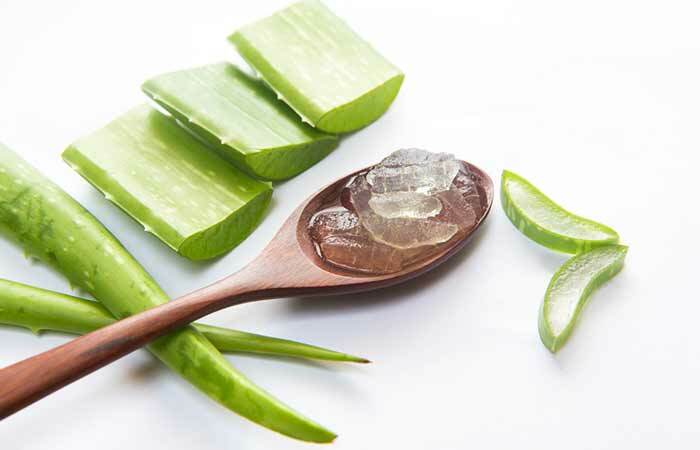 Aloe vera exhibits significant astringent and nourishing properties due to its nutrient-rich composition (3). It can help control sebum secretion and make your hair soft. shampoo your hair with it. You can let the Epsom salt-shampoo mixture work on your scalp and hair for a few minutes before washing it off. 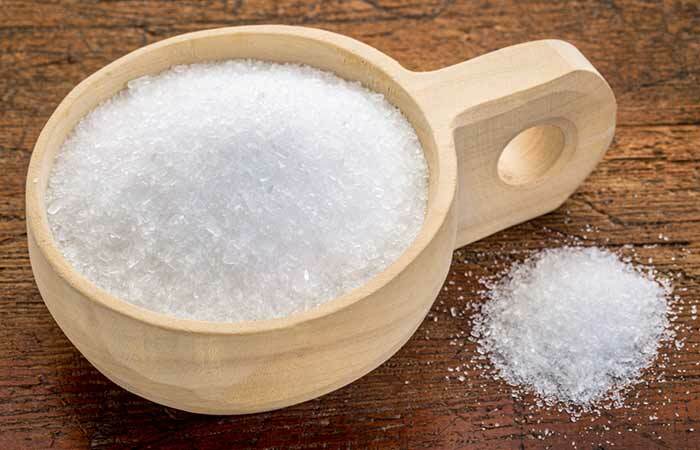 Epsom salt is an easy and effective way to get rid of oily hair naturally. Being a rich source of magnesium, it can help reduce scalp inflammation and absorb the excess sebum secreted by your scalp (4). Sprinkle baking soda all over your scalp and hair. Brush your hair to spread it out. Alternatively, you can mix a tablespoon of baking soda with three to four tablespoons of water and apply it to wet hair. You can rinse it off after a few minutes. 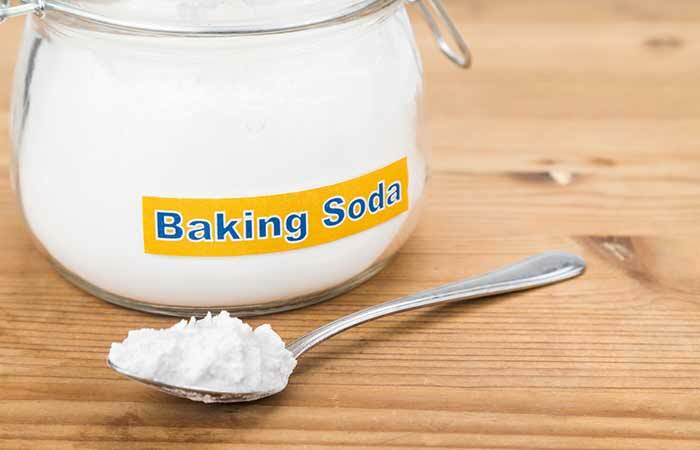 Baking soda works great as a dry shampoo as well as a rinse for oily hair. Its alkaline nature helps in balancing the pH of your scalp and absorbs excess oil (5). Add half a cup of green tea to a cup of water and bring to a boil in a saucepan. 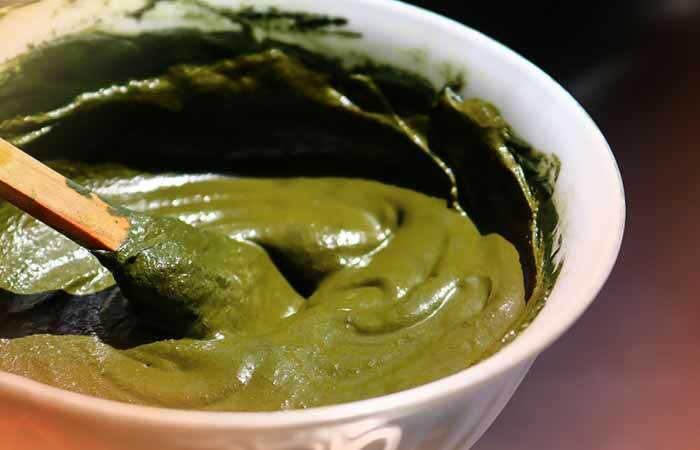 After the green tea mixture cools a bit, apply it to your scalp and hair. Let it sit for 30-45 minutes before rinsing it off. 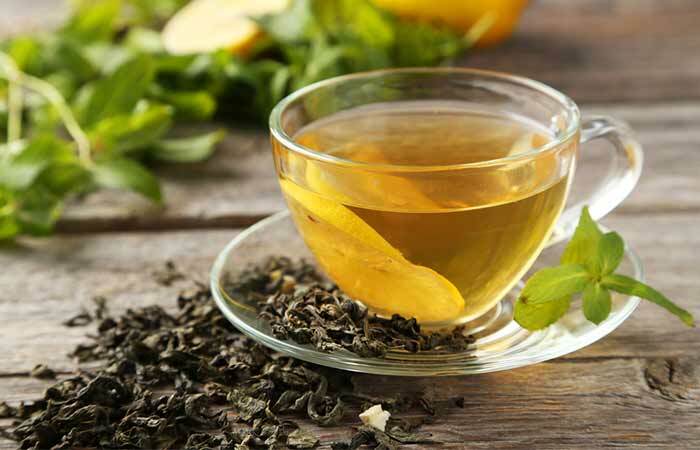 Green tea is loaded with polyphenols. This makes it extremely beneficial when it comes to the health of your scalp. It also plays in controlling the sebum secretion (6). Take some pure argan oil and apply it to your scalp and hair strands evenly. Let the oil work on your scalp for about 30 to 60 minutes. Shampoo using a mild cleanser and lukewarm water. Do this 1 to 2 times a week. 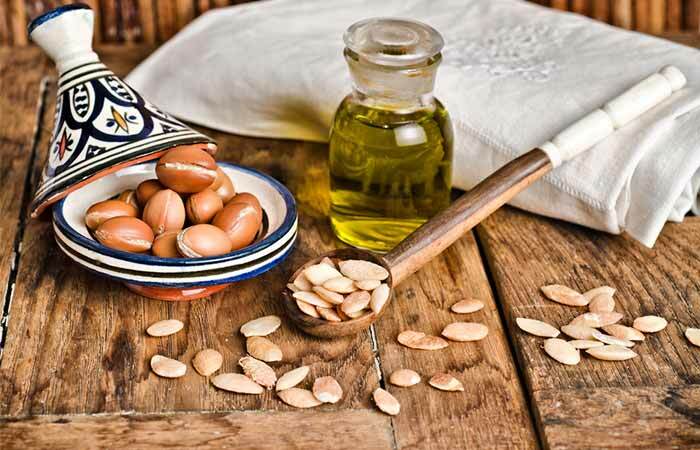 Massaging argan oil into your scalp and hair can redistribute oil to your shafts, thus regulating the secretion of sebum and stimulating blood circulation (7). Sprinkle some cocoa powder on your hair and scalp. 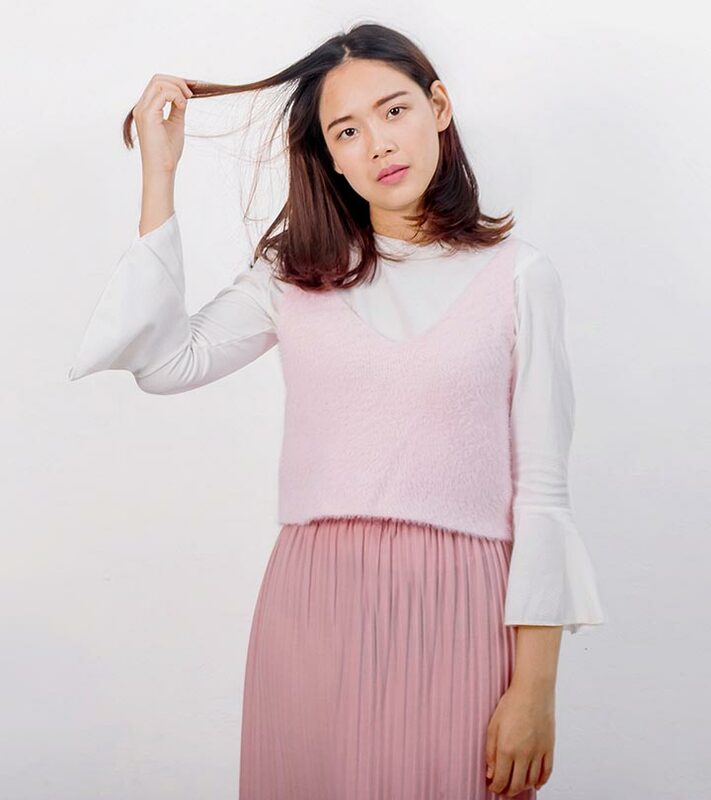 Comb your hair to even out the powder. Individuals with lighter hair can opt for arrowroot powder. Do this whenever you don’t have the time to shampoo your hair. 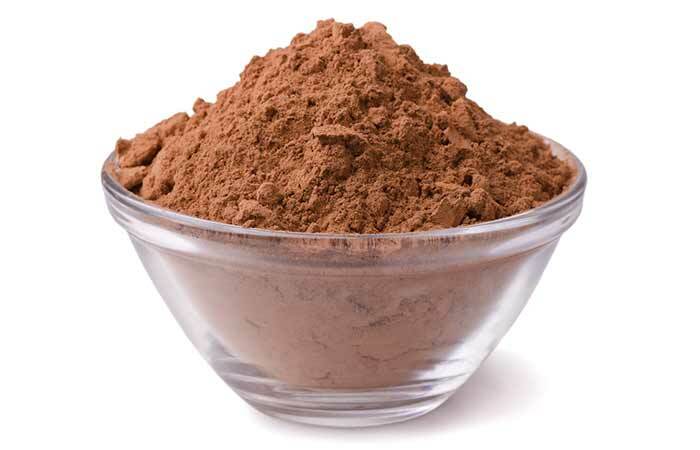 Cocoa powder works great as a dry shampoo, especially if you have dark hair. It helps in absorbing excess oil and imparts soft auburn highlights to your hair (8). Mix one egg yolk with a tablespoon of lemon juice. Apply this mixture evenly to freshly washed hair. You must do this at least once a week. 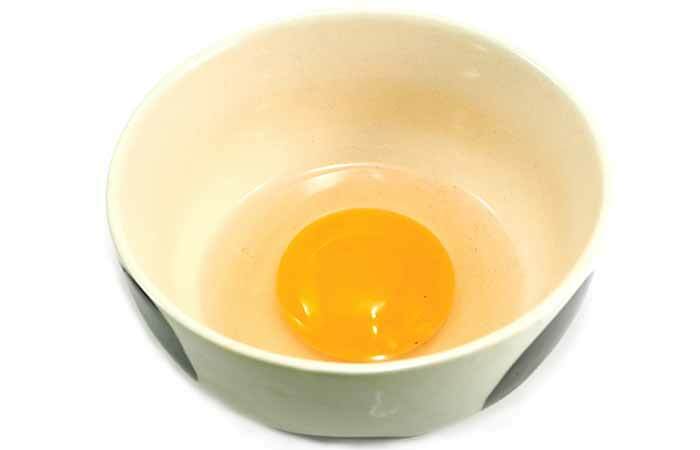 Egg yolks are packed with fatty acids and nutrients that help in restoring your hair’s natural sebum. This, in turn, prevents secretion of excess sebum by your hair shafts. Squeeze the juice from two lemons. Add two cups of distilled water to it and mix well. After every hair wash, pat your hair dry and apply the mixture. You must do this every once in a while whenever your hair gets too oily. Lemon juice acts as a natural clarifier that helps in getting rid of all the product build-up in your hair, which is a root cause of oily hair (9). Apply jojoba oil evenly to your scalp and hair strands. Leave it on for 30 to 60 minutes before washing it off with a mild shampoo. 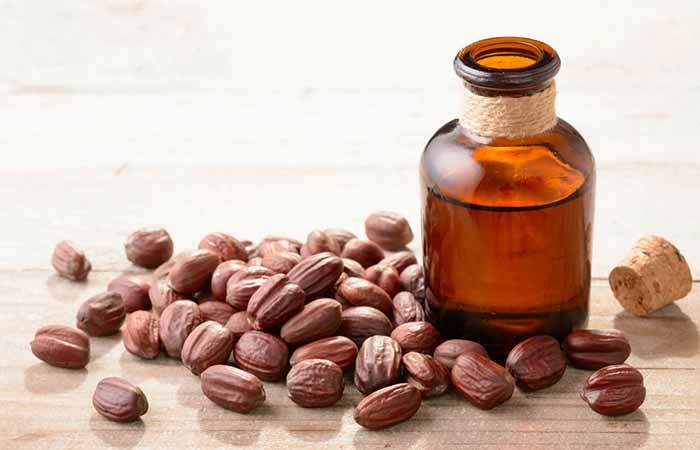 Jojoba oil is quite similar to the natural sebum secreted by your scalp. It can dissolve sebum deposits and cleanse the pores on your scalp, thereby controlling the secretion of excess oil by your scalp (10). Take some cooked oatmeal and apply it evenly to your scalp. Leave it on for a good 15 to 20 minutes. Do this 1 to 2 times in a week. 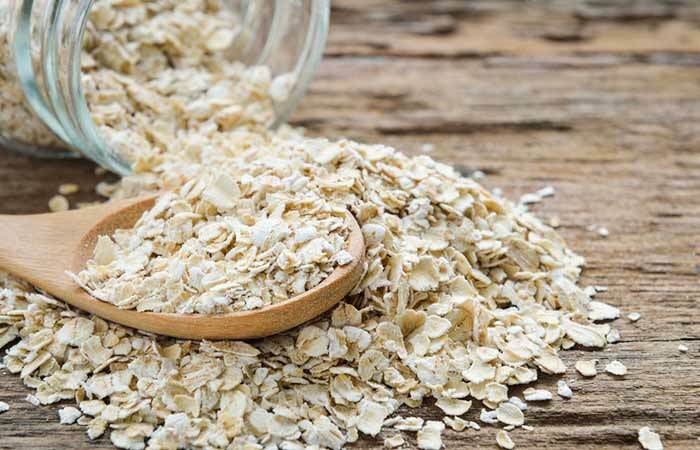 Oatmeal offers multiple benefits when it comes to your hair. Its thick consistency easily soaks up all the extra grease from your hair, while its anti-inflammatory properties soothe your scalp and make your hair soft (11). Vitamins, especially B vitamins, help a great deal when it comes to combating oily hair. B vitamins like vitamin B2 (riboflavin) and vitamin B6 (pyridoxine) can help in regulating sebum secretion. Hence, including them in your diet is a great way to get rid of greasy and sticky hair (12). Foods rich in these vitamins include eggs, dairy products, shellfish, and poultry. Mix half a cup of plain yogurt with two tablespoons of lemon juice and a teaspoon of baking soda. Whisk to get a smooth paste. Apply this mixture to your hair, concentrating on your scalp. Cover your hair with a towel and leave the mixture on for at least 30 minutes before washing it off with plain water. Do this no more than once a week. 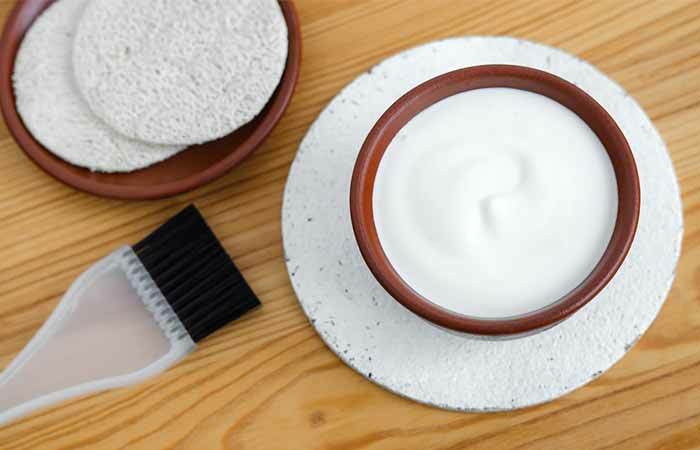 A yogurt hair mask is one of the best remedies to get rid of oily hair naturally. It helps in nourishing your hair and restores the natural pH of your scalp (13). Whisk half a cup of henna powder with an egg white. You can also add two tablespoons of coconut oil to this to avoid excessive drying. Leave the mixture on your hair for 30 to 60 minutes before washing it off with water. You can do this every two weeks or whenever your hair feels extra greasy. Henna is another natural ingredient that can give you healthy and nourished hair. It can help you get rid of the unwanted oil and is, in fact, quite drying. However, oily haired beauties can definitely benefit from this remedy (14). Here are a few additional tips that you should follow along with the above remedies to prevent your scalp from becoming oily and sticky. Do not touch your hair every now and then. While conditioning your hair, do not apply the conditioner too close to your scalp. Avoid using hot water to wash your hair. Do not use heating tools on your hair daily. Avoid sugar, fried foods, and meat as they tend to make your glands produce more oil. Wash your hair every 2 to 3 days and avoid washing too often. Use a mild shampoo that does not strip your hair of its natural oils. Change your pillow cover every week. Use warm or cool water to wash your hair. 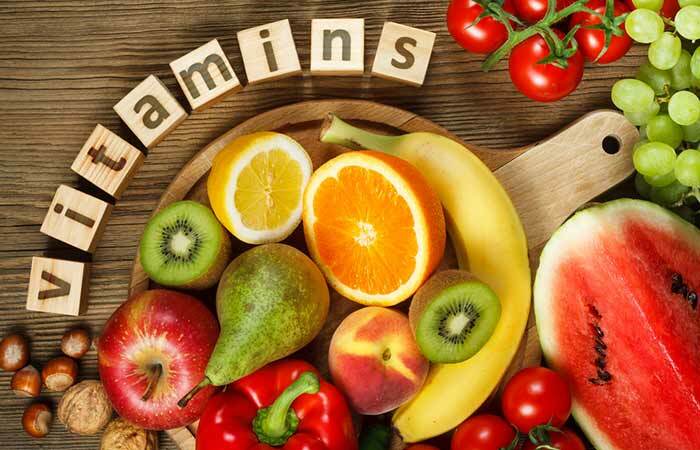 Consume foods rich in vitamin B like beams, poultry, fish, and fresh fruits and veggies. Now that you have the perfect remedies for oil-free and smooth hair, try them out to get rid of the problem. And for more queries related to this post, you can get in touch with us via the comments section. It is best to opt for mild shampoos to get rid of oily hair. You can also use natural dry shampoos like baking soda and cocoa powder to treat greasy hair. Which oil is best for oily hair? You can use light oils like coconut oil, argan oil, and jojoba oil to treat greasy hair. Should oily hair be washed every day? Oily hair should not be washed every day. You can wash it every alternate day or once in every three days as washing too often can cause your glands to produce more oil. As if body odor wasn’t enough, here's another issue you need to deal with – smelly scalp and hair. This problem can cause your confidence to take a back seat and also make you socially awkward. You must have noticed your hair and scalp emanating a weird smell a couple of days post hair wash.